London is in full Revolution. You are the only one that can save us. 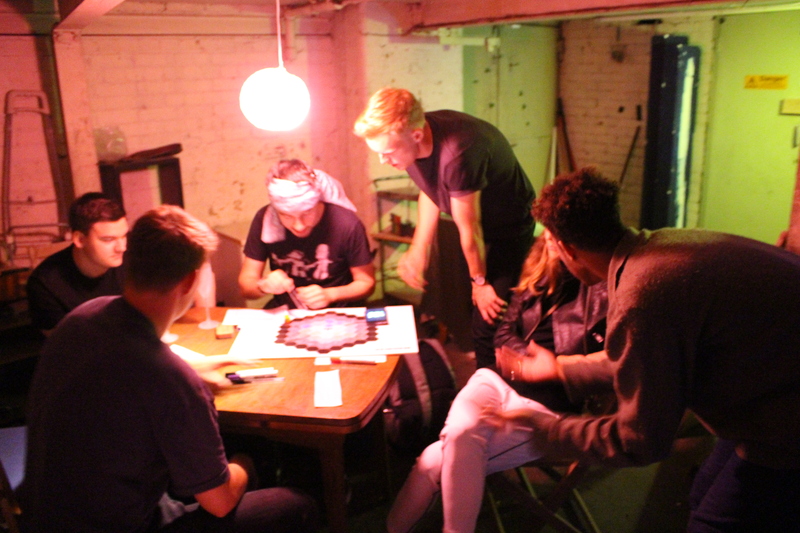 Early conversations around the idea of an live interactive boardgame were had between myself and Exit Productions director Joe Ball, and we were excited to explore how a simple game of strategy could sit amongst a theatrical narrative. Revolution draws inspiration from games like Risk, Diplomacy and Settlers of Catan and real world events and politics. The audience came together together to make important moral and tactical decisions which determined the shape of the experience. 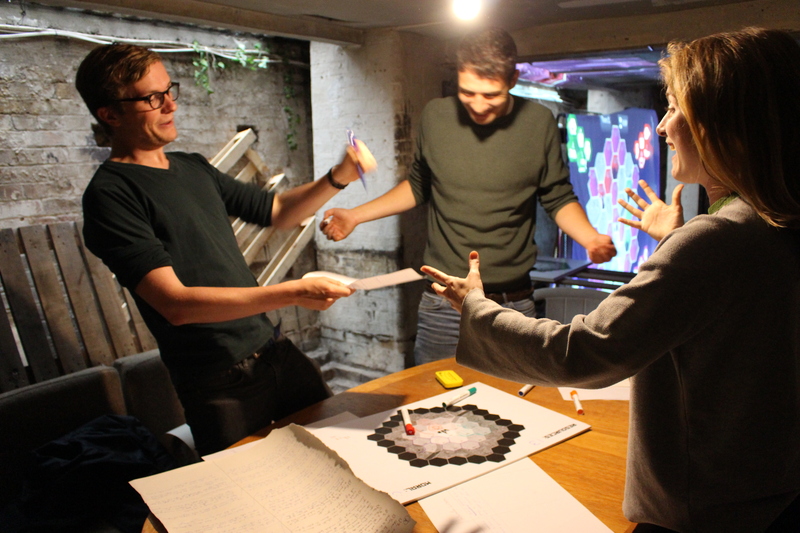 My role on the project was game designer and developer for the interactive board that was projected onto the walls of a basement den of the revolutionary factions. The digital game was created in Unity and developed from scratch to meet the criteria of the show. I used Unity’s client-server API to create a technician’s terminal (with metrics and debug controls) that only the overseer of the game could see, while a connected client with information specific to the audience was output via the projection. We needed to ensure that the game world we were creating was engaging and not too heavily themed around game playing. We set the event in present-day London, and designing the board to use names of boroughs as coordinates (TOH = Tower Hamlets etc) helped to immerse the audience who predominantly lived in London into their roles, and therefore they better associated with impactful actions happening in the game. I was also brought in to help design in-room mechanics that facilitated interpersonal and cross faction interactions. 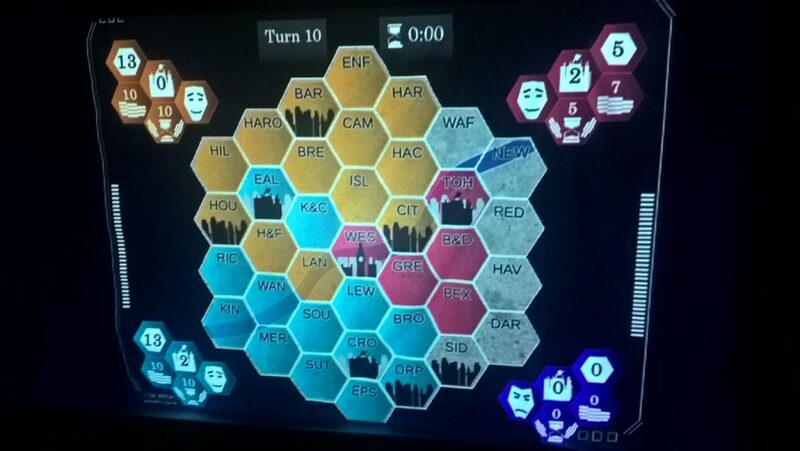 Later in the game and once per turn, mission cards were given to each of the three factions (the United People’s Front, Freedom First, and Gaia’s Dawn) that encouraged audience members to leave their base of operations and go collaborate, spy, deceive and denounce other factions and their members. Some missions resulted in all three factions having to stand infront of the rest of the audience and deliver speeches, answer questions about their manifesto policies, and come up with slogans, flags and chants. Much of the experience of Revolution is crafted in these moments, and for the most part tactical decisions on the board were actually influenced by how much a faction agreed with the manifesto and actions of other factions. 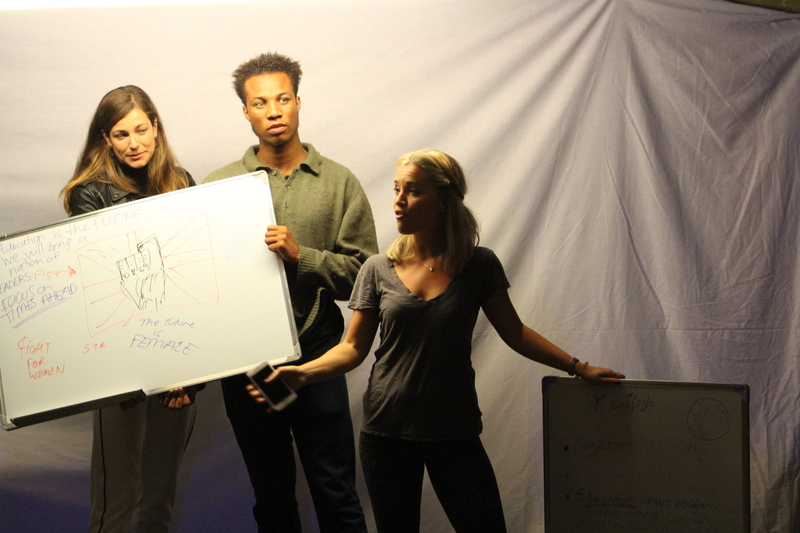 Overall Revolution was resounding success for a first time collaboration with a theatre company, and we hope to bring it to other venues and festivals in the near future.